This Jumpking JumpPOD™ Deluxe Trampoline is a contemporary redesign on the original JumpPOD™ Deluxe. JumpKing have made design improvements on the previous ‘Deluxe’ range (2015 and prior), including an increased number of legs and vertical poles on the safety enclosure, foam quality and fewer springs, which has increased the user weights slightly but still at a great price. The other great advantage of the JumpKing Deluxe is the stable design, which makes it easy to source spare parts. This is made even easier by the fact that the JumpKing European Headquarters are here in the UK and they can supply spare parts direct from their warehouse. If safety is a priority, which for most of us parents it is, then this is the trampoline for you. The Jumpking JumpPOD™ gives peace of mind in a trampoline package that is easy to assemble and complete in one unit. The enclosure uprights simply slot down into the trampoline top rail. Why didn't anyone think of this before ? The Jumpking JumpPOD™ is one of the most exciting trampoline innovations to date, and is available to order now. Featuring the Tri-layer Socket, the enclosure poles slot directly into the trampoline top rail, completely removing the need for brackets! You have a great looking product that takes a fraction of the time to assemble compared to any other system. Plus, the new Eurospring™ 'over and under' configuration reduces stress on the frame, increasing durability and optimising the jumping performance. The Jumpking JumpPOD™ is backed by the Jumpking name, the biggest trampoline manufacturer in the world, with more worldwide sales than any other brand. The build quality of this trampoline is such that the manufacturers provide a very reassuring 10 year guarantee on the frame and 5 year guarantee on the bed and springs. Easy maintenance, not nuts and bolts to re-tighten, ever ! 'Tri-Layer socket'; the enclosure poles slot directly into trampoline top rail - No Brackets! Frame: High strength (38mm dia) galvanised steel; 10-piece top rail with 5 'W' shaped legs. 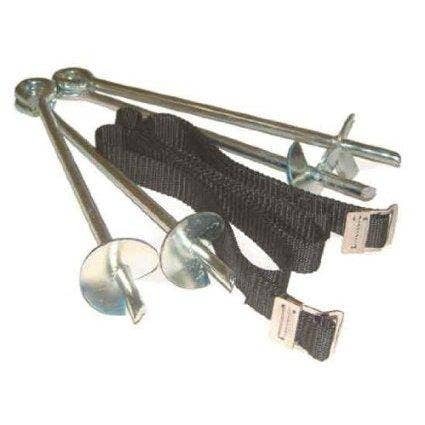 The trampoline tie down kit is becoming more and more popular. As our weather appears to be ever more changeable we are seeing increasing numbers of customers looking for replacement parts for trampolines that have flown over into next door's garden. 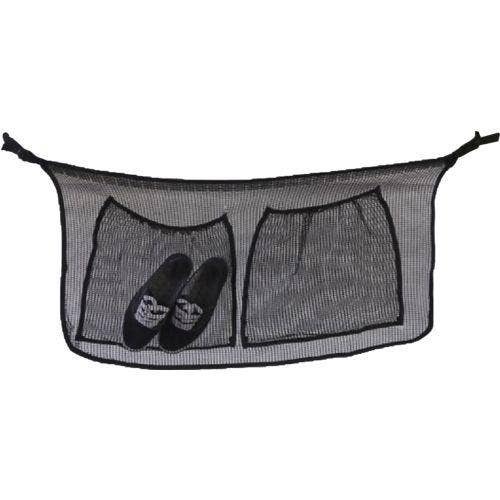 This handy shoe tidy will help prevent young children tripping over discarded shoes around the trampoline, not to mention stopping the dog running off with your best trainers! 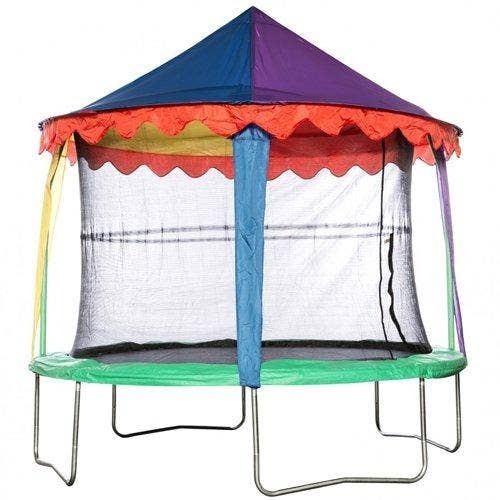 The Jumpking Circus Tent Canopy is a brilliant way to add more fun to your children's trampoline. It is easy to assemble and install. It is UV30+ protected, made from 100% polyester with mesh ventilation and has top and bottom shock-corded poles to provide extra rigidity. 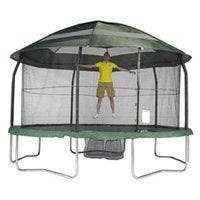 NB if you have a 2016 design Jumpking Trampoline with poles that curve outwards you must purchase a Tent Canopy that is the next size up eg a 10ft new design trampoline needs a 12ft canopy. If you have an original design Jumpking trampoline with straight poles that bend in a little at the top you need to buy a Tent Canopy that is the same size as your trampoline. This item can only be used with enclosures that have a shock-corded rod at the top of the net. The Jumpking Canopy is a great way to protect your family and trampoline from the elements. It is UV 30+ protected and easy to assemble and install. The canopy is made from 100% polyester with mesh ventilation and has top and bottom G3 poles to give extra rigidity. NB if you have a 2016 design Jumpking Trampoline with poles that curve outwards you must purchase a Tent Canopy that is the next size up eg a 10ft new design trampoline needs a 12ft canopy. If you have an original design Jumpking trampoline with straight poles that bend in a little at the top you need to buy a Tent Canopy that is the same size as your trampoline. This item can only be used with enclosures that have a shock-corded rod at the top of the net. Please note that the manufacturer advises that the Circus Tent and Canopy should not be left on the trampoline overnight or used in windy conditions. Please take it down after use. It is also advisable to use an anchor kit with these items. The Jumpking trampoline brand is the biggest in the world today and they have been making trampolines for approximately 50 years. Jumpking is the market leader with great trampoline innovations and the manufacturing facility now produces approximately 60% of the world's trampolines. 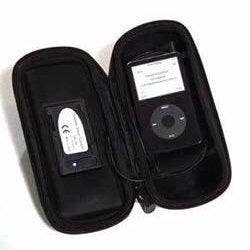 As well as the highest standards of quality, Jumpking pride themselves on the continual development of their products, as can be seen by their huge range. Jumpking trampolines are all designed with safety as the first priority. All trampolines meet or exceed ASTM and TUV standards. Jumpking trampolines also come with a comprehensive range of accessories to add to the experience. Jumpking Trampolines provide fun, exercise, health, fitness and safety for the whole family. We at MadFun have been supplying Jumpking Trampolines since our very earliest days and due to our product knowledge and keen prices have become one of the most successful Jumpking retailers in the UK today. The Jumpking oval shaped trampoline was specially developed for the UK market. The Ovals combine the outstanding performance of a rectangular trampoline with the proven safety features of the best selling JumpPOD and here at MadFun we can offer you 5 different sizes of OvalPOD.